YMCA has been serving the community of the Royal Borough of Kingston for over 140 years, during which our work has grown and developed. Our YMCA building on 49 Victoria Road in Surbiton has been successfully accommodating single people in housing need for the last 30 years. As a response to changing expectations, and our desire to provide the best opportunity to prepare our residents to successful move on into the community, a major refurbishment commenced earlier this year. 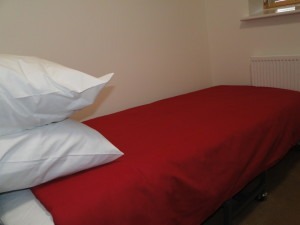 The Surbiton development includes providing en-suite facilities for all bedrooms and shared kitchens on the hostel floors, enabling residents to cook for themselves. Also windows will be replaced and more efficient gas boilers installed. 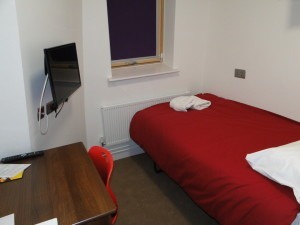 The refurbishment also includes building six additional rooms on the top floor of the building, which will allow for residents to keep on living in the hostel whilst the refurbishment work is carried out. We are now entering Phase 11, our final phase of refurbishment and have 118 newly refurbished rooms; 106 single bedrooms, 9 twin bedrooms with kitchenettes and 3 fully accessible bedrooms with kitchenettes. All have ensuite bathrooms. 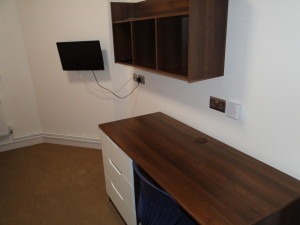 These rooms are finished to a high standard with new electrics and water services in creams and white and oak furniture. We have four new residents’ on-floor kitchens finished but not officially handed to us yet. We have instructed Daniel Watney to authorise NTDL Contracts to start with installations of the other kitchens on the back and centre wings on all floors. 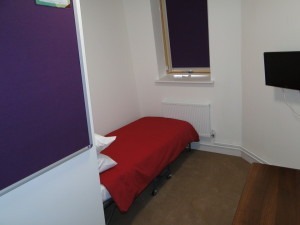 Phase eleven is due for completion on 23 December, giving us another 12 new (and final) single bedrooms. Running for nine weeks, this will see us complete the refurbishment just before Christmas with a handful of jobs to be completed in the new year: painting lift lobbies, corridors and such. Exciting times ahead! How will this affect the gym? During the first week of phase eleven, NTDL Contracts require access to the ceiling void with Studio 1, as they did during phase 10. These works will be completed as quickly as possible to limit disruptions. Please see signage around the gym for more information. We apologise for any inconvenience these works cause and thank you for your continued cooperation during the refurbishment process. For further information about the YMCA Surbiton refurbishment, please contact Daniel Hosier, Refurbishment Project Co-ordinator Surbiton.